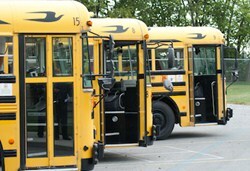 Hamilton Local Schools has an immediate need for the position of substitute bus driver. If you are interested in this employment opportunity, or have questions, please contact the Hamilton Local Schools Department of Transportation at 614-491-8044 ext. 1238. Please refer to the employment section of our website for application guidelines and procedures.